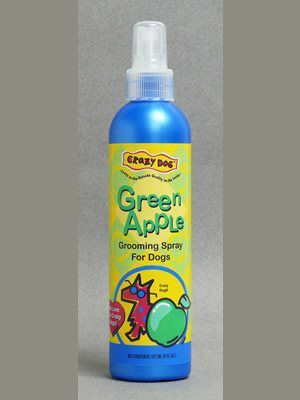 Professional grooming spray: Cleans, Conditions, Detangles, Takes out Static, Leaves a Long-Lasting Scent. 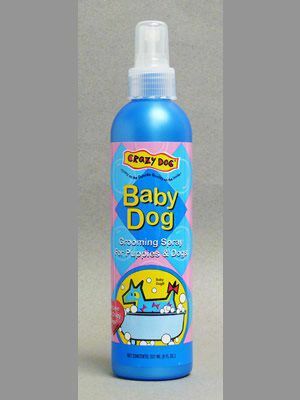 Use in-between baths for a "dry" bath. 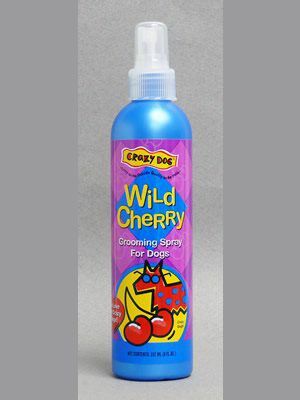 Crazy Dog Grooming Spray label copy is humorous but explanatory because non-groomers aren't always familiar with the benefits of an all-purpose grooming spray. 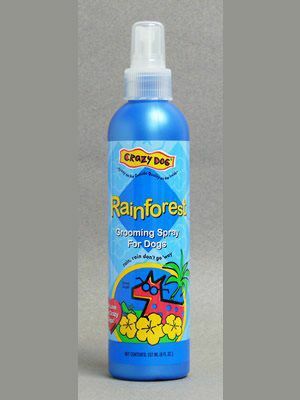 Example: "When your dog's been on an expedition and you don't have time to shampoo, use my Rain Forest Grooming Mist to clean, detangle, condition, take out static, add shine and leave a fresh lasting fragrance. It's a oneshot bath in a bottle - better than standing under a waterfall!" Head South to the nearest tropical rain forest. Mist coats thoroughly, brush out dirt and tangles. 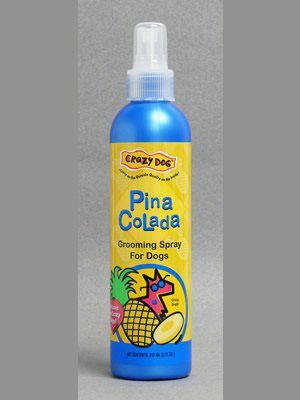 Find your dog a dry spot under a palm tree and air dry in the gently breeze. 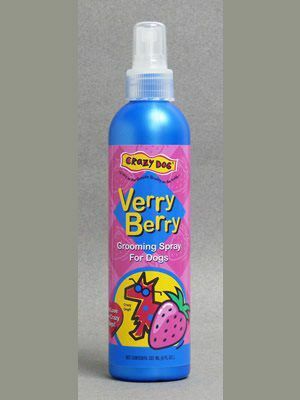 Use on dry coats for in-between baths, use as a freshen-up fragrance, or use on wet coats to remove tangles.